Birmingham, Ala. – Knight Eady Sports Group has announced that the University of Alabama and Auburn University’s women’s gymnastics teams will meet again in Birmingham for a neutral site gymnastics meet, Elevate The Stage, presented by NobleBank & Trust. The meet, in its second year of existence, is scheduled to take place on January 17, 2016, at the Legacy Arena at the BJCC. The Elevate The Stage meet brings two of the top collegiate gymnastics programs in the country to Birmingham for the second year. At the inaugural Elevate meet held on March 8, 2015, over 6,000 fans filled the Legacy Arena at the BJCC to watch two of the top gymnastics programs in the country and in-state rivals go head-to-head. 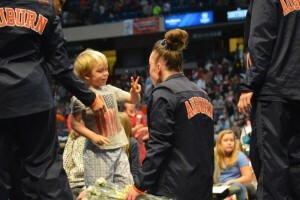 After the inaugural meet, both Alabama and Auburn boasted strong post-season performances and placed in the top-six at the 2015 NCAA Women’s Gymnastics Championships. The 2016 Elevate The Stage meet will be the first time the two programs will face each other since the national competition. Elevate The Stage, which is in addition to the Southeastern Conference meet between Alabama and Auburn, will provide a championship caliber platform for the student-athletes. The Elevate The Stage meet is staged on the podiums, which have historically only been used for the SEC and NCAA Championships. Competing on the podiums during the regular season gives the teams an incredible advantage heading into post-season competition. Additionally, the podiums are visually appealing to the audience and have more bounce and spring for the gymnasts. Additionally, Elevate The Stage features a unique philanthropic partnership with Ronald McDonald House Charities of Alabama and Camp Smile-A-Mile. These two charitable organizations will receive recognition during the meet and a portion of the proceeds from the ticket and merchandise sales. NobleBank & Trust will be the presenting sponsor of Elevate the Stage for the second year in a row. NobleBank recently expanded its presence in central Alabama opening its first Birmingham location at the back entrance of The Summit (across from Leaf & Petal) this spring. Tickets are on-sale now through Ticketmaster. For additional information or to purchase tickets, fans can visit www.elevatethestage.com. Elevate Gymnastics can be found on Facebook and Twitter. For additional questions and sponsorship information, please contact Katie Jernigan at Katie@knighteady.com. 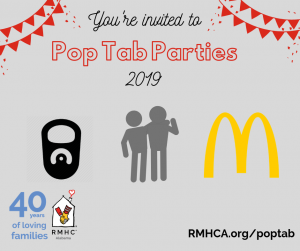 Note: In order for RMHCA to get a portion of ticket sales, you must select “RMHCA ticket” or click on the link provided above/on our event page.